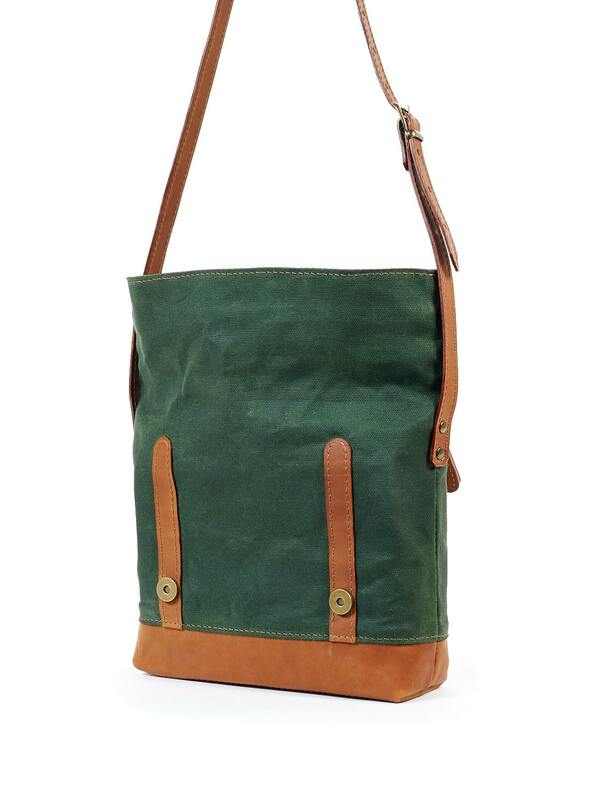 Waxed canvas crossbody bag with a long adjustable strap. 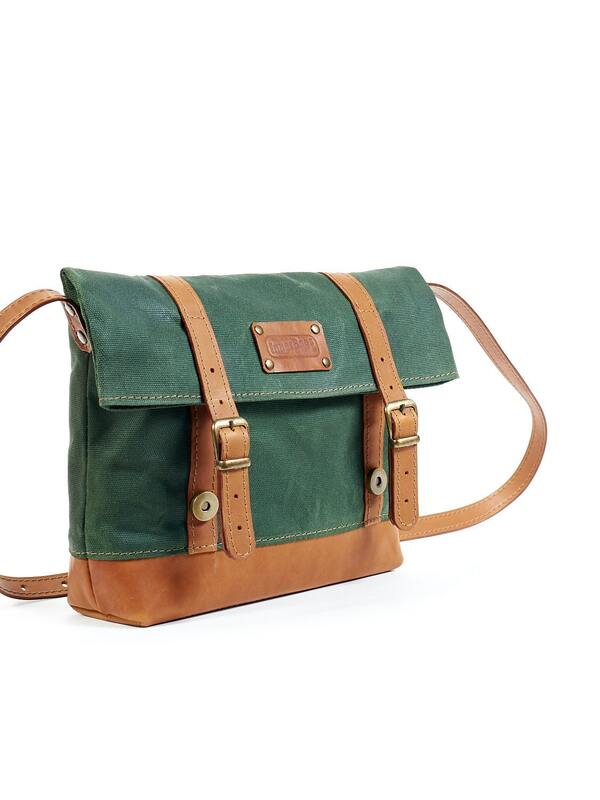 This bag has a medium size, easily fits 9" tablet, wallet, dairy and etc. 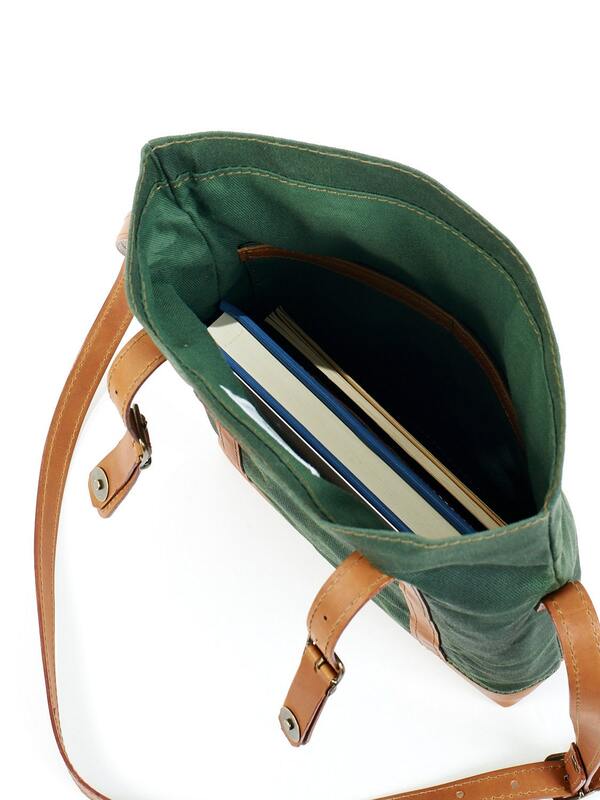 The fold-over bag is made for daily using, it is a lightweight and comfortable. Leather straps are consist of two layers of the leather , glued and stitched. We finish all edges, burnishing and sealing them with beeswax. 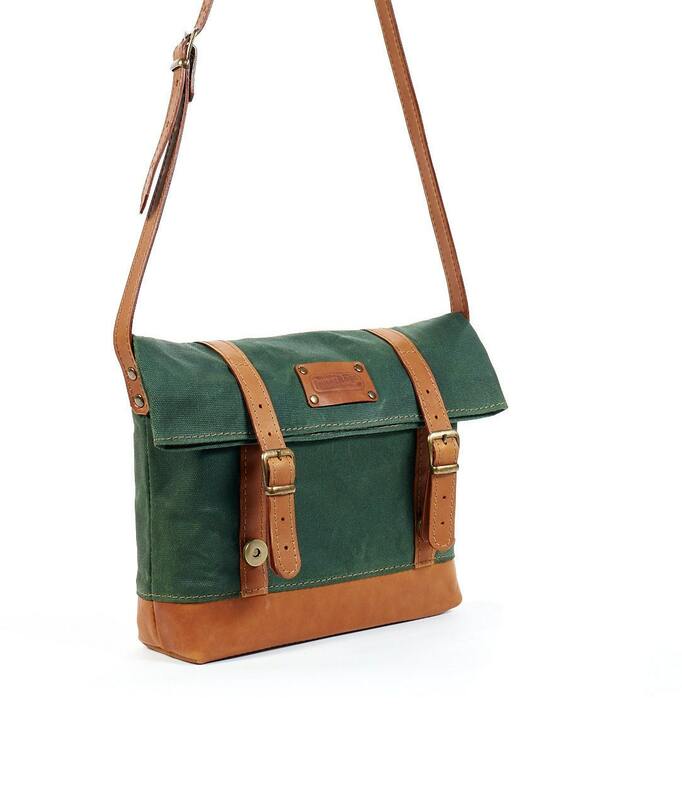 Adjustable shoulder strap with max. length 49,2 in ( 125 cm). 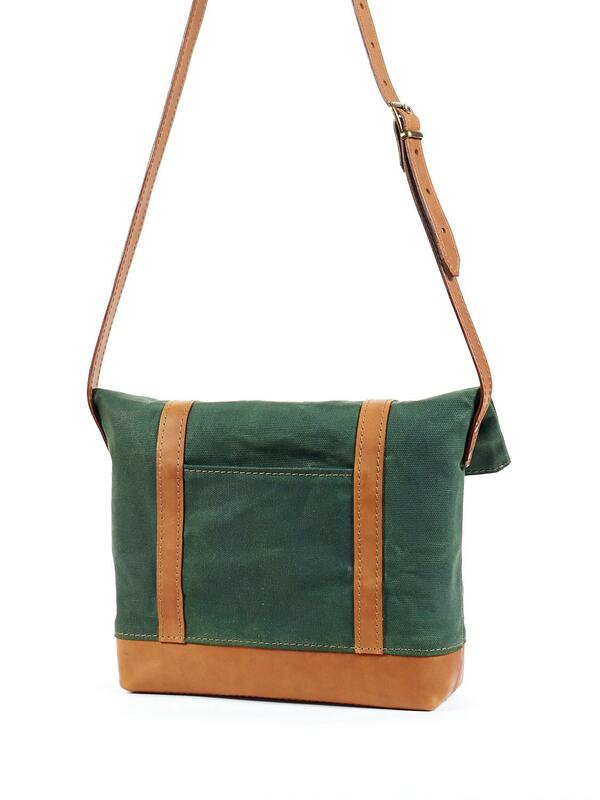 Bag can be used as crossbody or shoulder bag. The bag is closes with buckles and magnetic snap. There is a small pocket on the back. It can be made in a different size and color. Thank you so much this is the most awesome bag I have ever seen. Great work!!! !